ALLEGRA BOVERMAN/Staff photo. Gloucester Daily Times. 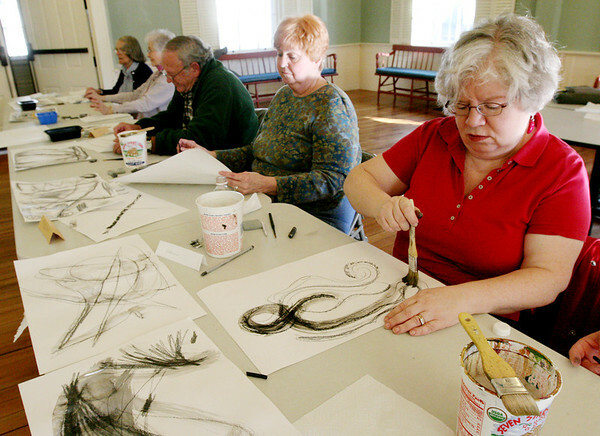 Rockport: Katherine Arthur of Manchester, right, paints and draws at Community House in Rockport on Monday. A drawing class taught by artist Elizabeth Harty will be held for four Mondays in February from 1-3 p.m. Call 978-546-2573 for more information. Next to her are: Peggy Fay, Alister Shaw and Joann Bell, all of Rockport, and Anthea Brigham of Gloucester.